Welcome to Amsterdam, home of wooden clogs, windmills, and tulips. 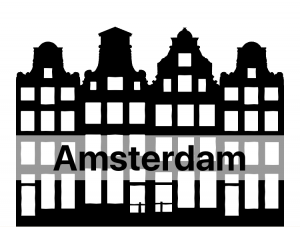 Amsterdam was founded in the 13th century as a fishing village on the river Amstel. Today there are 165 canals, 1281 bridges, and 2500 houseboats. The population is roughly 800,000, the number of bikes in the city is about 881,000 and about 25,000 end up in the canals each year! Run the I Amsterdam Route and run across the oldest bridge in the city, through the largest flower market in the world and past the Rijksmuseum, home of Rembrandt’s masterpiece, The Night Watch. Learn about Dutch “pannekoek” and see the house where Anne Frank and her family hid in the annex. Run the Rembrandt Route and see De Grooer, the oldest windmill in the Netherlands and the Muiderpoort, one of Amsterdam oldest city gates. Run past Rembrandt’s house and past the Zuiderkerk, a church painted by Monet 13 times on his visits to Amsterdam. Learn about the history of the canal houses and where to eat gluten-free. Run the Central Amsterdam Route and explore the inner gracht (canals). Run past the Westerkerk where Rembrandt is buried, the Royal Palace of Amsterdam, one of the three royal homes, and the infamous Red Light District. Welcome to Buenos Aires, first founded in 1536 by an expedition led by the Spaniard Pedro de Mendoza. The settlement fell victim to local Indians and the survivors had to retreat up the river. Nearly 50 years later Juan de Garay led another expedition back to the site, and there, at the mouth of the Riachuelo River, he refounded the city, which he called Ciudad de Trinidad, in 1580. 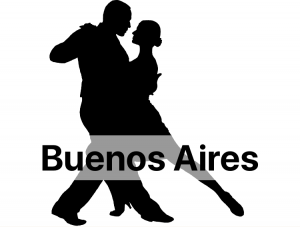 It is the birthplace of the tango, has a population of 2.8 million, and more bookstores per capita than any other city in the world. Run the Recoleta Route and run down a street that dates back to the second founding, pass the iconic obelisk that was erected to commemorate the first founding and cross Avenida 9 de Luglio, the widest street in the world. Learn the history of the Recoleta Cemetery, final resting place of presidents of Argentina, Nobel Prize winners, and Eva Perón. Run the Center Route and pass in front of the Cathedral where Pope Francis was Archbishop before becoming Pope, see the location of Spain’s colonial administration, and learn the history of the Casa Rosada. Check out Café Tortoni, the perfect spot to take a break later, did you know Porteños have their own Afternoon Tea? Run past the Teatro Colon, the architecture and acoustics are exceptional, discover which building was willed to the city by a wealthy heiress to be used as a school and is now full of government offices. Run the Palermo Route and see the Floralis Generica, a mechanical flower that opens each morning and closes in the evening, pass the Museo Evita, dedicated to the beloved first lady, and run through Palermo Chico, one of the city’s wealthiest barrios. Run the Center and San Telmo Route and pass by the Bombanera, home of the football team, Boca Juniors, see the site of what is believed to be the first landing of Spanish Conquistador Pedro de Mendoza, and run down the cobblestoned Calle Caminito, the birthplace of the tango. 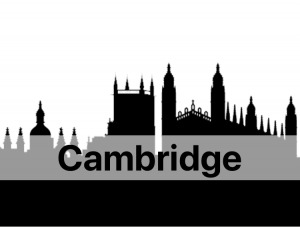 Welcome to Cambridge, home to the over 21,000 students who attend one of the 31 Colleges at The University of Cambridge. Founded in 1209, it is the world’s third oldest surviving university and full of tradition; you can still see members strolling through the streets of Cambridge proudly displaying their college scarf or academic robes, or “Blue” rowers on the River Cam. Counting over 107 Nobel prizes awarded to alumnae since 1904, chances are good you might run past a future laureate while running the cobblestone streets! Run The University Route and run past Trinity College, its alumnae include 33 Nobel Prize winners, Prince Charles, Sir Isaac Newton, and three Soviet spies! Run through Sheep’s Meadow where Charles Darwin conducted beetle surveys and Queen Elizabeth I stopped to refresh her horse while traveling. Learn about the Wars of the Roses and Queens’ College, after your run you can head to the historic Eagle Pub where you can drink a pint of “Eagle’s DNA” a special ale to commemorate the discovery of DNA by two of its patrons in 1953. Run the Back and Forth Across the River Cam Route and learn about the river as you catch a glimpse of punters on this 43 mile (69,4 km) stretch of water. Run past the Wren Library which houses a first edition (complete with handwritten notes for the second edition!) Of Sir Isaac Newton, the Mathematical Bridge, built out of entirely straight pieces of wood, and the Bridge of Sighs. Unlike the homonymous bridge in Venice where prisoners passed over on their way to execution, pre-exam students “sigh” on their way to class! Welcome to Cape Town, the oldest urban area in South Africa, established in 1652 by the Dutch as a halfway point for ships traveling to the east. Today it is one of the most multicultural cities in the world, with a population of almost half a million people. Over one and a half million tourists visit each year to enjoy the Blue Flag status water quality, the over 7000 plants found nowhere else in the world and the thriving colony of Africa’s only penguin species, the Jackass. 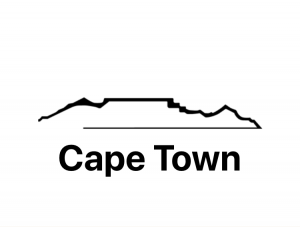 Run The Mother City Route and see the Castle of Good Hope, a star fort and the oldest existing colonial building in South Africa. Learn the story behind the Noon Day Gun as you run past Signal Hill on Rose Street in the colorful historic old Malay quarter. Run through Green Market Square, one of South Africa’s oldest public squares and originally a slave market, then run past St. George’s Cathedral, known as the “People’s Cathedral” for its role in the resistance against apartheid. Run the Green Point Route and run past Breakwater Prison, constructed in 1860 to house British convicts, Green Point Park, full of playgrounds, picnic areas, and a Biodiversity Garden. Run past Mouille Lighthouse then continue along to Sea Point Promenade and take in a view of Robben Island, where Nelson Mandela was imprisoned. Learn about the first colonists to arrive in Cape Town, and about the Victoria and Alfred Harbor, named after Queen Victoria and her son Alfred. Welcome to Chicago! For Chicagoans, the Windy City is second to none. Not only is the Chicago River the only river in the world to flow backward, Chicago’s Western Avenue is the world’s longest continuous street, at 23.5 miles or almost 38km. Spray paint, the zipper, the vacuum cleaner, Twinkies and of course deep dish pizza were all invented here. Chicago resident Jane Addams, was the first American woman to win the Nobel Peace Prize, Walt Disney was born in Chicago and Chicago is the home of the first black president of the United States, Barack Obama. Run the Chicago Architecture Route and run alongside the Chicago River, not only does it flow backward, it is also dyed green on St. Patrick’s Day! Run across the two-level Michigan Ave Bridge, run along the Magnificent Mile past upscale department stores, restaurants and hotels. Look up as you run past art deco landmarks, the old Water Tower, and the first urban post-war high rise residential complex in the United States. 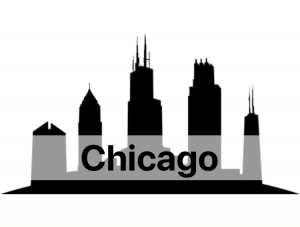 Run the Chicago Public Art Route and experience the sculpture gallery streets of downtown. Within an area of one block, you can see sculptures by De Buffet, Miró, and Picasso. In another block, you can see the bright red “Flamingo” by Alexander Calder and “The Four Seasons” by Marc Chagall. Run through Millennium Park and past “Cloud Gate” by Anish Kapoor affectionately known as “The Bean”. Run the Chicago Lincoln Park and Wrigley Field Route, and run through one of the city’s most beautiful tree-lined neighborhoods towards Wrigley Field, the home of the Cubs, winners of the 2016 World Series. Learn the history of this beloved team, then run past the Victorian Era glass house Lincoln Park Conservatory where rare orchids are grown. Run along the lake and take in the magnificent view of the skyline. Run the Historic Bars of Chicago Route and discover the bars that have withstood the test of time. This Route is a pub crawl without the alcohol, or maybe with?! Welcome to Dubai, one of the seven emirates that make up the UAE. Each Emirate is governed by an absolute monarch and one of the 7 monarchs is selected as President of the UAE. 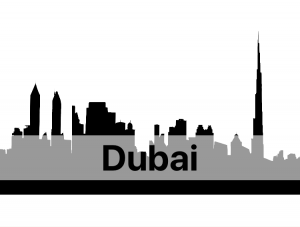 Around 15% of Dubai’s population of 2.5 million are Emiratis, 85% are expatriates in the UAE for work. In fact, the driverless Dubai metro system was built by Japanese, Turkish, American and French companies. Opened in September 2009, today over 450,000 people use the metro daily. There is a gold and silver class as well as a separate compartment for women and children to protect women’s privacy. Men are fined 10Aed if found in the wrong cabin and remember, there is no eating nor gum chewing allowed! You don’t want to mess with the laws and regulations of the UAE, the Dubai Police Force uses super fast cars like Ferraris and Lamborghinis! Run the Burj Khalifa Route and see the Dubai Fountain show as water shoots up in time to music, crane your neck to look up at the tallest building in the world, then run through a forest of modern skyscrapers. Run the Old Dubai and Dubai Creek Route and explore the old fishing village, where once pearl diving was a popular livelihood. Run past a residence of Sheikh Said Al Maktoum, a Dubai monarch, and catch a view of the Creek, once the backbone of the economy, run through the old souk, don’t worry with iRunCities you won’t get lost! Run the Jumeirah Route and listen to the history of the UAE, see where the treaty was signed establishing the country, and run past the beautiful villas in this residential area. Run close to the beach and discover new restaurants and cafes as well as more shopping opportunities! Welcome to Dubh Linn, that’s Old Irish Gaelic that translates to “Black Pool”. Yes, there are 10 million pints of Guinness produced daily in Dublin, yes, there are 666 licensed pubs in Dublin, and yes, approximately 50% of the population is under 25, but don’t worry, Dublin has so much more to offer! Run the Dublin Parks and Zoo Route and run past the Irish Memorial War Gardens, dedicated to veterans of World War I, past Phoenix Park, the largest enclosed public park in any capital city in Europe, and past gardens originally dedicated to medicinal plants. Learn about the importance of the river Liffey, where to go to learn how to pull a Guinness beer correctly, and see the oldest smock windmill in Europe. 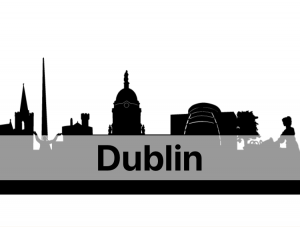 Run the Dublin At All Hours Route and explore the area around Kilmainham Gaol, discover some of the many churches in Dublin and run across the famous Ha’Penny bridge. If you don’t have a ha’penny in your pocket, don’t worry, you no longer need to pay! Listen to the information about the Vikings’ invasions in the 9th century and learn where the biggest Viking Cemetery is outside of Scandinavia. Run the Central Dublin Route and run down the cobbled streets of the Temple Bar area or where Molly Malone used to push her wheelbarrow. Run under the gates of Trinity College, soak up some knowledge: you’ll pass the old brick Rubrics building, the Readroom, and the Old Library, home of the Book of Kells. You’ll pass the childhood home of Oscar Wilde and St Stephen’s Green – did you know that during the Easter Rising of 1916 there was a cease-fire so that the groundsmen could feed the ducks? Shalom and welcome to Jerusalem! Founded in 1010 BC as the City of David, Jerusalem is home to over 850,000 people, with 300 synagogues, 33 mosques, and 50 churches. There are also olive trees that are over 800 years old! Run The Old City Route and run alongside the Walls of Jerusalem that were built during the Ottoman Empire, past the historic Mamilla Cemetery, and take in a view of Mt. Olive. As you run past the gates of the city learn about the history connected to each gate; did you know that the Damascus Gate is the only one to have preserved the same name since at least the 10th century? Run The Old City and Sacher Park Route and run past the Monastery of the Cross, an Eastern Orthodox convent, past the Knesset, which is the Parliament of Israel, and along the Green Line, the demarcation line set out after the 1949 Armistice Agreements. 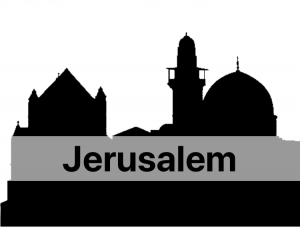 Run around the Old City Walls and listen to the amazing mix of culture and religion that makes up Jerusalem today. Ever wondered what that interesting looking building or monument was? Do you feel compelled to get the most out of your runs? Maybe your favorite way of sightseeing is running a marathon?! Whatever the case may be, download the FREE iRunCities app; as you run those 42,195 km you will be accompanied by information and fun facts, as well as some encouragement to get you to the finish line! A good supporter on the sidelines is one of the keys to success while running a marathon. Your runner will feel stronger and more confident each time they see you cheering them on. 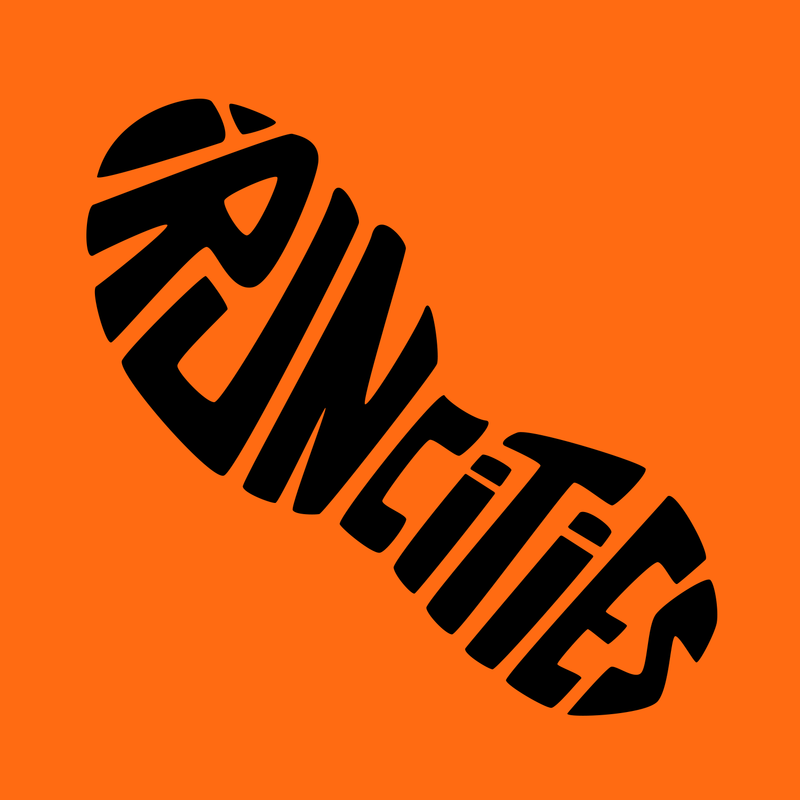 As a supporter, you too can download the iRunCities app. Then you can meet your runner at various points during the race, ready to offer words of encouragement or maybe a banana! Bem vinda to Lisbon! Built on seven hills, it is one of the oldest cities in the world and home to the world’s most top secret recipe: pastel de nata, sweet custard tarts dusted with cinnamon. It is said only three people know the original recipe! Approximately 505,000 ‘Lisboetas’ live in Lisbon and enjoy one of the mildest climates in Europe with over 300 days of sunshine. 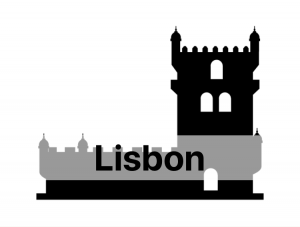 Run the Baixa & Avenida Route and run past the seven-story high Santa Justa Lift, under the Arco da Rua Augusta onto the Praça do Comércio, then along the Tagus River before it flows into the Atlantic Ocean. Run up and down the Colina de Sant’Ana, the most central hill in Lisbon, and discover which buildings survived the 1755 earthquake. Run the Castle of São Jorge Route and run past this medieval Moorish castle and learn why it was built on a hilltop. Run through the “Feira da Ladra” flea market, then past the Sé, the oldest Roman Catholic church in the city. Run past the Military Museum, located on the site of a 16th-century shipyard, and the Museu do Fado, where you can learn the history of this melancholic music. Run the Bairro Alto Route and run through the Jardim Botânico, botanical gardens designed in the mid-nineteenth century as a scientific garden. Run past the Church of Sao Roque, filled with sacred artworks and what is said to be the most expensive chapel in the world. Run uphill past the Teatro Nacional de São Carlos and the MNAC, on your way up you’ll be sure to admire buildings covered in Azulejo tiles. 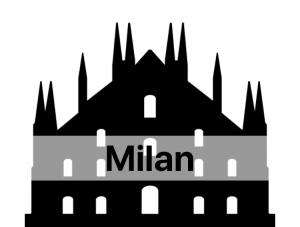 Milan is Italy’s biggest industrial city and has a population of 1.3 million people. It is the financial capital of Italy but also a captivating meeting point for Italian creativity. The city thrives on fashion, design, and food. Theater and art also play an important role in Milanese life. Run the Centro Route to explore Corso Venezia, an elegant street lined with imposing Baroque, neo-Classical and Liberty buildings, then pass the fashionable display windows of Via della Spiga and Via Montenapoleone. You’ll pass the church of San Babila where the famous Italian writer Alessandro Manzoni was baptized, as well as the gothic style Duomo built out of pink marble. Along the route, you will also see “La Scala”, the world-famous opera house. You will pass art museums with master paintings behind their doors or contemporary art in a modern setting. You will run the road that Napoleon traveled on during his conquests. Run the Navigli Route and you will discover the old canal district, now mostly covered in pavé, large cobblestones typical to the Lombard region. You will run past Roman ruins and under medieval city gates. Discover the restaurant that was once a mill where washerwomen bought their soap or the cafe where the Milanese aperitif scene started. Run the Isola Route to discover the Sforza Castle, once a fortress now a cultural center, or the enormous Monumental Cemetery, famous for its beautifully decorated tombs. Run through Chinatown; you’ll know you are there when you see street names in Chinese! You pass Blue Note Jazz Club and the Bosco Verticale, residential towers with over 900 trees growing on their terraces. 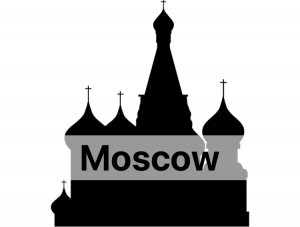 Welcome to Moscow, the huge capital city of Russia with a population of over 11.5 million. That is the same as the population of Norway and Switzerland combined. You probably won’t run into any of the 84 billionaires in the city (combined wealth of 367 billion dollars!!) or rub shoulders with any of them on the metro; don’t despair, remember the famous Russian expression “Moscow doesn’t believe in tears”. Run the Red Square Route and see the onion-domed St. Peter’s, Lenin’s mausoleum, and the hundred-year-old GUM shopping mall. Run over the bronze plaque that marks kilometer zero on the Russian highway system and over streets paved over rivers. Run past the Bolshoi Theater, home of the Bolshoi Ballet company and past the yellow bricked Lubyanka building, home of the KGB. Run the Kremlin and Tverskaya Route along the banks of the Moskva River past the massive wall of the Kremlin and learn which of the towers held ammunition, which was the first to be attacked in a siege due to its location, and which had a secret exit tunnel from the citadel to the Moskva River. See the simple red building that was Chekhov’s home or the nouveau mansion built for the celebrated author, Maxim Gorky. Run the Arbat Route and run past several of the monumental Seven Sisters Skyscrapers, built by Stalin in an attempt to transform Moscow into a world capital. See one of the earliest examples of traditional wooden tent-roofed churches built to celebrate the birth of Ivan the Terrible. Run past some of the 180 beautiful art deco metro stations and remember: if you are going toward the city center you hear a male voice announcing the stations and female voice if leaving the city center. Welcome to Munich, home of six major breweries, over 60 beer gardens, and the world-famous Oktoberfest, held in September, näturlich! The capital of Bavaria with a population of around 1.5 million, Munich is also the home of BMW and the most punctual public transportation system in the world: German Engineering at its best! Run the Munich Along the Isar Route and run along the steep bank of the river that was once used for grazing sheep, then turn the corner and run past the Maximilianswerk, the oldest functioning hydra power station in Baveria. Run on royal avenues built by kings past the world’s largest museum of technology and engineering or around an old moated castle. 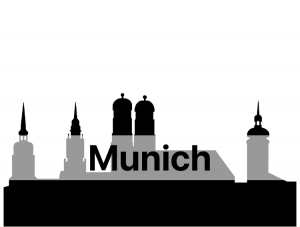 Run the Munich Old City Route and you might hear the 43 bells of the Neues Rathaus ring out. Learn the history of the city as you run under a medieval gate, see the Church of the Holy Ghost which contains a fresco of a man dressed in blue with a pretzel in his hand, then run past the Hofbrau Haus and buy your own! Run the Munich Schwabing and the Museum Quarter Route and run past the Alte Pinakothek, home of Old European Masters of the 14th to 18th century, the Neue Pinakothek, home of 18th and 19th-century art, and the “Dritte”, or third Pinakothek, home of modern art. See the building where the Munich Agreement was signed; it is now the University of Music and Performing Arts or the Academy of Fine Arts where Kandinsky and Klee studied. Welcome To New York City! 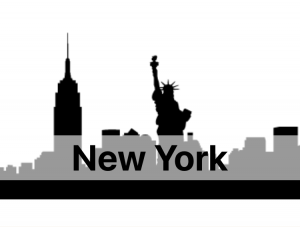 The Big Apple, the City That Never Sleeps, the Center of the Universe, the Empire City, Gotham, Metropolis….Call it what you will, 8.5 million people call it home. Run the A Little Bite of the Big Apple Route and get a taste of New York. Run through the theater district and be one of the 330,000 people who pass through Times Square daily. Then run on Jewelry Row towards Rockefeller Center, a mass media complex. Run past hip nightclubs and chic eateries, up Park Avenue into Central Park. Run the Upper East Side Route and run through the leafy streets of the City’s elite. Run past the Met, the largest art museum in the United States, the Frick Collection, once a private home, now home to an impressive collection of old master paintings, and the Guggenheim, the famous cylindrical building designed by Frank Lloyd Wright. Run through Central Park around the reservoir renamed in honor of Jacqueline Kennedy Onassis – you can even see her apartment from there! Run the Upper West Side Route and run along the Hudson River – did you know there are five tunnels that run under this river that transport over 200,000 cars per day? Run past the Boat Basin, constructed in 1937, and the First Baptist Church in New York City, built in 1890. As The Upper West Side is considered the cultural and intellectual hub of Manhattan – you run past Columbia University as well as the Lincoln Center for Performing Arts. Run the SoHo & TriBeCa Route and experience this once rural part of New York. Run over the Belgian blocks (“It’s not cobblestone” die-hard New Yorkers will tell you!) of this old industrial area and take a peek at the glass bulbs on some sidewalks that are actually tiny glass windows called vault lights, used to allow sunlight into basement factories. The name SoHo comes from South of Houston, the street that borders the area. But remember, its pronounced HOW-sten and New Yorkers will know you are from out of town if you don’t say it correctly! Run the Meatpacking/Highline Route and discover an epicenter of activity. This 24-hour neighborhood is full of restaurants, nightlife venues, cafes, and shops, it is also the new home of the Whitney Museum. Run on the Highline, the park in the sky and get a bird’s eye view of this interesting and diverse neighborhood. 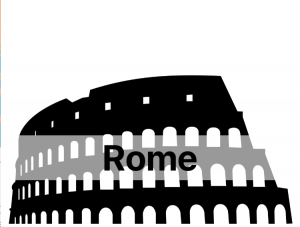 Welcome to Rome, founded in 753 BC, capital of the Roman Kingdom, the Roman Republic, the Roman Empire and today the capital of Italy. Its history spans 28 centuries and it is the only city with a country inside its city limits. Run the Trastevere Route, the only area of the city to survive the middle ages: discover from which of the city’s bridges Christian martyrs were thrown or which basilica houses the oldest fountain. Then run to the top of the Gianicolo Hill for a breath-taking view of the city. Run the Campo Marzio Route and learn about the secret passageways to the Vatican or where to buy the best gelato. Run through the smallest country in the world and don’t forget to toss a coin into the Trevi Fountain to ensure your return to Rome! Run the Colosseum Route and see the largest temple in Ancient Rome, dedicated to Venus, or the imposing monument, the Altar of the Fatherland, dedicated to the first King of Italy, Victor Emmanuel II. Run the Parioli Route and pass by the Maxxi, a museum of contemporary art designed by Zaha Hadid as well as the old Parioli Theatre, a cinema built in 1938. Or run Essentials of the Eternal City Route. Just remember to toss a coin over your left shoulder to ensure your return to this marvelous capitol city. G’day and welcome to Sydney! Home to more than 5 million “Sydneysiders”, over 100 beaches, 1170 high-rise buildings and the world’s most technically advanced New Year’s Eve fireworks show. Sydney was established as a penal settlement in 1788 and became a city in 1842. Nicknames include the “Harbour City”, “Emerald City” and “Sin City”, the latter due to the amount of organized crime and corruption in the 20th century. 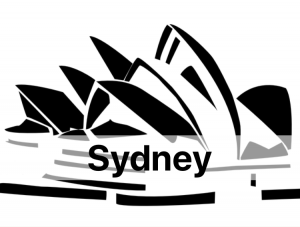 Today Sydney real estate prices are some of the most expensive in the world, more than New York City and Paris. Sydney has received over 10 million visitors per year. Run the Down Under Route and take in a view of Sydney Harbour Bridge (opened in 1932) as you run along Sydney Harbour. You’ll pass Farm Cove, or Woccanmagully as it was known to the aborigines (who held initiation ceremonies here until the 1790s), Mrs. Macquarie’s Chair, an exposed sandstone rock which was hand carved by convicts into the shape of a bench, and Andrew “Boy” Charlton Pool, an eight-lane outdoor heated salt-water swimming pool named in honor of the Australian swimmer who won five Olympic medals during the 1920s. Run through “The Rocks”, Sydney’s oldest neighborhood, and learn about Sydney’s history as a convict colony. Run past the Museum of Contemporary Art, or MCA which contains over 4000 works by Australians, as well as a significant representation of works by the First Peoples of Australia: Aboriginal and Torres Strait Islander people. In the 2016 Census, nearly three-quarters of a million people in Australia identified as being Aboriginal or Torres Strait Islander. Run the G’day Route, a shorter version of the Down Under Route that also takes you past the Justice and Police Museum. After your run, you can step into the dark side of Sydney’s past with a visit there. Remember to smile and say G’day as you run, Sydney loves runners; there are over 126 fun runs per year! Run the Paddington and Surrey Hills Route where you’ll run through the creative heart of the city. Run down streets lined with Victorian terrace houses, built with Georgian Sandstone, now stylish apartments. Run past Victoria Barracks, constructed in the 1840s by convicts as a Military Prison, then run through Kangaroo Ground, part of the Centennial Parklands. Did you know that as early as 1791 the Gadi aborigines used to hunt kangaroos and other large game here? “No worries mate, she’ll be right”, if you are gluten, dairy and carb-intolerant you will be welcomed with open arms! Welcome to Washington D.C.! Also known as The Capital of the World, DC, or simply The District. Other nicknames include The Swamp, as it was built on a mosquito-infested swamp in 1790. Washington D.C. is technically named for George Washington, but it’s also named for Christopher Columbus: The District of Columbia. 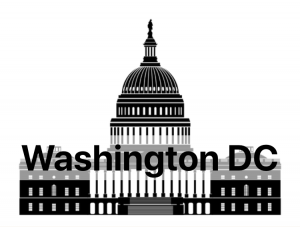 Run the Capitol Hill and Federal Triangle Route and run down the National Mall, past numerous Smithsonian Museums until you reach the Washington Memorial, a 555 ft tall obelisk built to honor the first President of the United States. Run past the Spy Museum where you can explore the life of a secret agent, then run past Ford’s Theater where President Abraham Lincoln was shot. Learn about the development of this great city from swampland to Capitol. Run the Monuments and Museums Route past the US Capitol Building; did you know there are tunnels, marble bathtubs, and a nuclear fall-out shelter for the use of politicians underneath? Learn about Thomas Jefferson’s plan for D.C. and The Height of Buildings Act while running down tree lined streets. Run past Lafayette Park, once used as a racetrack, a graveyard, a zoo, a slave market, and an encampment for soldiers during the War of 1812! Run the Tidal Basin and Foggy Bottom Route and run past the Lincoln Memorial, where Martin Luther King Jr gave his famous I Have A Dream speech in 1963. Run along the Potomac River past the Jefferson Memorial and run past the White House, home of United States Presidents since 1801. Run the Georgetown Route and run along the Potomac River as you learn about its beginnings as a trading post. Run past the home of Martha Washington’s granddaughter, a fence made out of recycled weapons from the British Invasion of 1814 and Georgetown Cupcake. By our calculations, after running this route you can eat 2 and a half!